Clare has been an amazing support and inspirational coach. I have learnt so much from her and wish I had begun my coaching journey and ILM coaching qualification at the start rather than the end of my career. I must start by thanking you for the fantastic coaching skills workshop last week. I learnt so much and have so much more confidence to crack on with my own coaching sessions. I start this Friday with a chap from work, I'm so pleased to be moving forwards and I am really excited for the next class room days coming up. I also have a better vision of how I will use my new skills, knowledge and qualification for my business, I hadn't been able to peace it together but I can now see a path for my journey and that is very exciting. The first training day of my ILM Level 5 Coaching course was eye opening – I am in the army and it was very beneficial to experiences the different backgrounds and perspectives of the other delegates. I hadn't realised there were so many variations in coaching and styles of coaching. For my learning it was good to have the variety of people that were non-military. Doing my coaching qualification with i2l has been profound and potentially life changing. I hadn't expected this to be the case. The training days opened my eyes to a different style of managing my team which was an unexpected bonus of doing the ILM Level 5 coaching qualification. I am now ensuring that my team receive coaching from someone else in my organisation and I want to use the change in culture in my team to shift culture and leadership styles more widely where I work. Thank you very much for a very inspiring, energising course and encouraging a great group experience. Very excited and very glad I came to your course. "I am feeling very excited about coaching and what it can do. I came away from my first coaching session this morning knowing that it had made an impact, my coachee was transformed in his thinking and committed to doing something by this time next week. I sat and made notes afterwards as you suggested and this has helped me to really focus on where I need to improve for the next one. Thank you for your training and support, and thank you for starting me off on this incredible journey!" A HUGE thank you to you for your support with the assignments over the years!!!! I'm a much a better coach as a result of your assignment input and supervision - just wished I'd had the time to have had more supervision from you. Also a MASSIVE thank you for contacting your network to offer my free coaching services once I left the Council to get in more coaching hours. My ability to focus my time fully on my clients and reflecting on the session, has also definitely helped me become a much better coach. I should also say I found your book really great and your courses very helpful. There is only one thing I would improve about inspired2learn's coaching course - a shorter lunch so that we can do even more in the afternoon! I loved the practical coaching tools that we were taught and I am definitely going to have a go at them at work. After my first workshop day I felt I had much better knowledge of tools and templates for coaching. i enjoyed being able to practice coaching with other attendees and I am going to start coaching more at work with my team, especially using coaching questions informally. I've taken part in an in-house training programme with inspired2learn (4 workshop days), working towards the ILM Level 5 Certificate in Coaching & Mentoring. I've really enjoyed the workshops and every moment of the learning. The insight into NLP sub-modalities was brilliant and I've got many more coaching tools available to me from doing the course. Studying whilst working in a demanding role, running a busy home and completing assignments after being out of the academic arena for sometime is a challenge. However, Clare helped me achieve a ‘ good pass’ in my first assignment by giving feedback, and signposting me to additional reading material on each section. 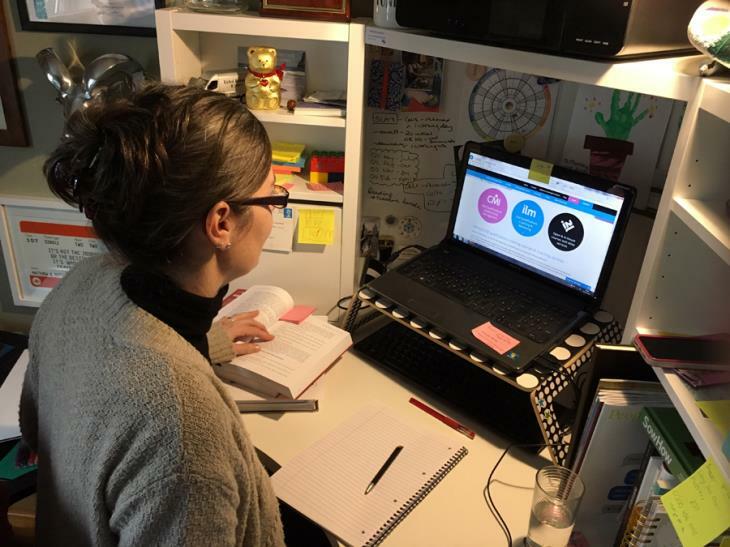 I could therefore move onto the next section knowing that I was on the right track and could be confident that I would have a good quality finished assignment. Clare, we have had amazingly positive feedback for your morning session. REALLY good and such fun and great learning. All in all very successful and people clearly went away inspired. Yes they were a lovely group, but generally I think our people always respond well to these types of events if they are treated like intelligent adults, where their thinking is stretched and its fun too….….so a BIG thank you. I decided to do the inspired2learn Coaching and Mentoring qualification to formalise what I was already doing as part of my job. I was quite nervous about formal study having not done any for over 25 years, but Clare made it all seem quite doable. The great thing about the qualification was that I got to study the theory as well as evidence actual coaching practice. And I have also found that the theory has been useful in my job, having recently worked with a colleague to set up practical work-based mentoring within our department. Throughout the learning process, Clare’s support and that of my colleagues also studying for the same qualification, was invaluable. The qualification can be quite daunting to fit in when you're in a demanding job and your private time is precious. However inspired2learn have been very receptive, pragmatic and flexible in enabling us to develop our coaching ability and complete the Level 5 qualification in the most efficient manner. They've also been constantly available and on hand with support and guidance. Many thanks. I am currently studying for the Level 5 Certificate in coaching with Inspried2learn and I have found the level of support and information incredibly helpful. I work full time, so it is a challenge to fit the study in, however I am supported by my organisation and by Inspired2learn throughout this process. Clare Smale is inspiring – she has a vast amount of knowledge and the training is delivered in a clear and enthusiastic way which left me feeling excited about the challenges ahead. Clare makes herself available all the time to us and is happy to tutor through assignments to help me reach my goal. I would recommend Inspired2learn to anyone looking to take the next step in professional qualifications in coaching. I am so pleased I chose to study with Inspired2learn, this is what I love about them so far: •	Always prompt contact from initial sign up onto the qualification to mid-assignment feedback, I never have to wait which really makes me feel supported and valued. •	Knowledge, experience and passion – coaching is clearly a way of life for Clare and she brings so much to my learning by challenging me and offering me a new perspective. Her love of the subject is infectious and it makes me want to be the best coach I can be. •	The practical stuff – useful website and resource, extra workshops, insight and experience, really clear information to help with submissions and step by steps on completing diaries. This has made studying alone at home go as smoothly as possible and also an enjoyable experience. •	Ongoing support – I never feel like I am being a pain by emailing or calling, when they say they are here for you they actually mean it! Not being a very diligent student I found the support from Inspired2learn really important to keep me motivated and on track when I embarked on my Coaching Level 5 Certificate. I was really nervous about it and wasn’t confident that I would be able to complete it. I didn’t always find the unit descriptions and criteria easy to understand in terms of what I needed to provide evidence of and Clare always found a way to explain them to me in a way that made immediate sense. Her feedback on areas where I needed more evidence was always done in a clear and sensitive way. She encouraged me when I needed a boost of confidence. She always responded promptly to queries and questions. Overall, working in “partnership” with Inspired2Learn (that’s what it felt like) it turned out to be a positive and worthwhile learning and development experience for me……skills that I have used time and time again in my management role but also in my OD role for the Council.